This summer, many of you working in public libraries will be focusing on creating, making and building as you tie your programming to the 2017 Collaborative Summer Library Program theme Build a Better World. To help you get started and enrich the plans you already have underway, I’ve pulled together some thoughts on how to think about the making experiences you offer and provided some recommendations on tools and resources that can enhance your programming. It’s a tricky question, and we hear again and again from those who are hosting effective making activities that it’s not about the tools, it’s about the people. Successful maker librarians are reaching out to their communities to understand what their wants and needs are and then building the programming based on what they learn. They’re also not afraid to test and learn and to try new things. But how do you know what to try? What creative tools will work best for the children you are serving? In the Selecting the Right Tools for Your Makerspace webinar she presented last October, Laura Fleming provided a framework for evaluating products for your makerspace. They should be mobile, so that making and learning is not limited by physical space. They should allow for open-ended exploration and inquiry-based learning. They should address the needs and interests of your learners. They should have a low barrier of entry and empower all learners by meeting them where they are. They should be relevant to your community and the larger world. While not every product is going to meet all five of these criteria, it is useful to have these guiding principles. We use these same criteria to evaluate products to offer to our customers. Below are some of the top products we’ve found that meet the criteria and can add tremendous learning opportunities to your summer programming — as well as throughout the year — during activities, workshops and open exploration. TeacherGeek® makerspace activities are ideal for upper elementary through high school, and a great next step for kids who love your LEGO® program. Mobility: TeacherGeek kits can be used in any size space and travel well, considering they use a common set of simple construction materials — gears, dowels, grids and beams — and rely on the recycling bin for the rest. 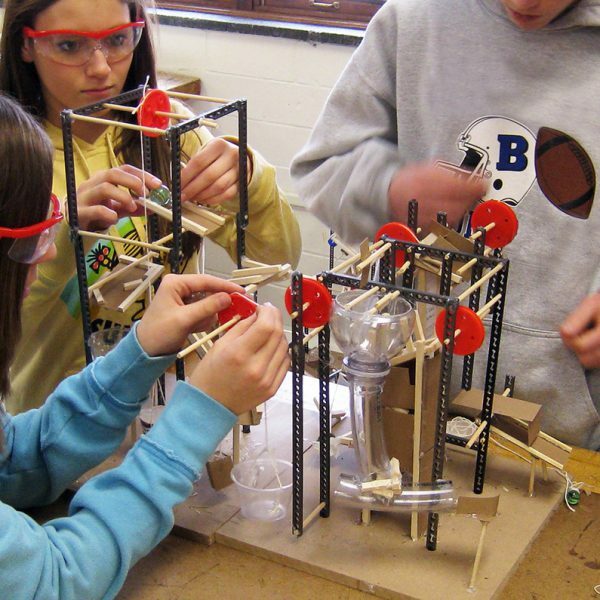 Open-ended Exploration: Each activity starts with a basic design, but the extended activities allow learners to innovate and explore as they adapt their creation to meet new design challenges. Knowledge of Learner Interests: What kid doesn’t want to launch a ping-pong ball with a homemade catapult? With nearly 20 kits with extension activities to choose from, TeacherGeek has something to pique every kid’s interest. Empowering: As I watch young learners work with TeacherGeek, I am always struck by the intensity with which they work. Their creative approaches and pride in their accomplishment are evidence of this empowerment. Relevance: TeacherGeek was specifically designed to provide learners with a basic set of tools to perform real-world design challenges. 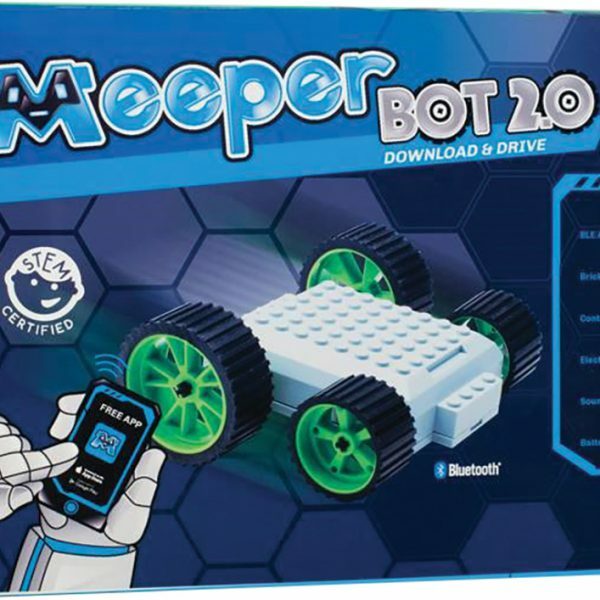 MeeperBOTs bring LEGOs and coding together as learners build and control their own custom robot. Mobility: All that you need is the MeeperBOT chassis, some LEGOs or other compatible blocks and a mobile device with the free app installed. Open-ended Exploration: MeeperBOTs are completely customized by the child, making them an extremely flexible tool. 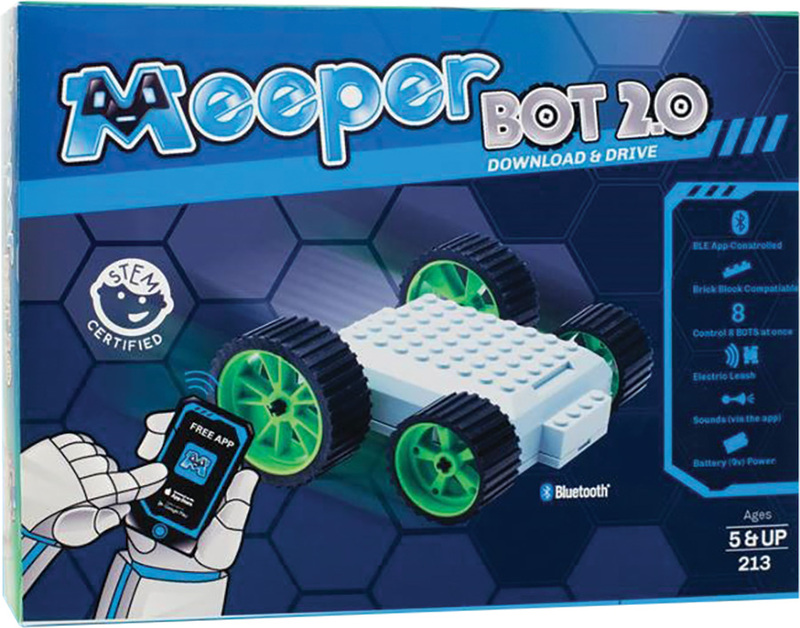 The app controller with coding capabilities allows children to control their creations and then develop increasingly complex directions for their BOTs to follow. 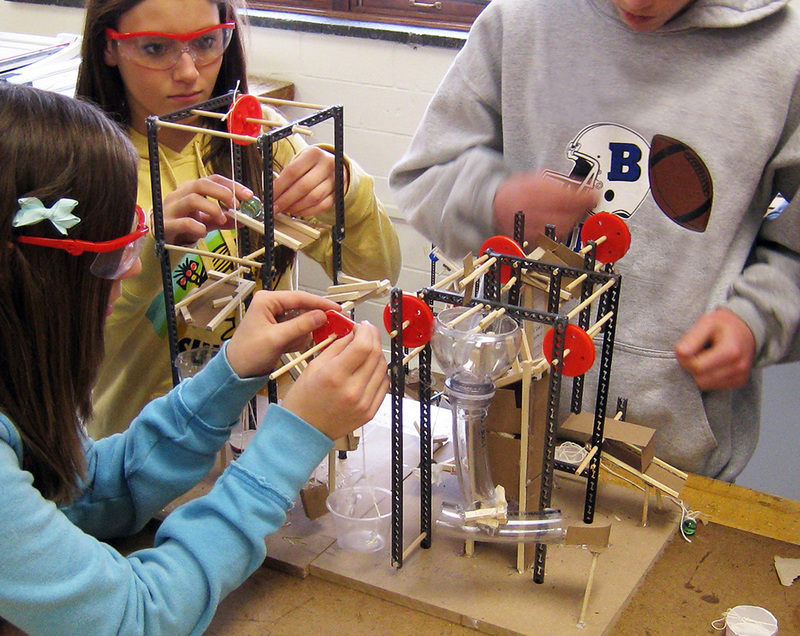 Multi-player activities allow for design challenge contests or robot races. Knowledge of Learner Interests: It might be hard to find a child who doesn’t like LEGOs, robots, remote-controlled vehicles or playing on a mobile device. Empowering: Children have immediate ownership of the activities, since BOT creation is driven 100% from the child’s imagination. As children modify their designs to meet design challenges, they’ll be fully engaged. Relevance: MeeperBOTs are excellent tools for helping learners build their creativity and critical thinking — two important 21st Century skills. 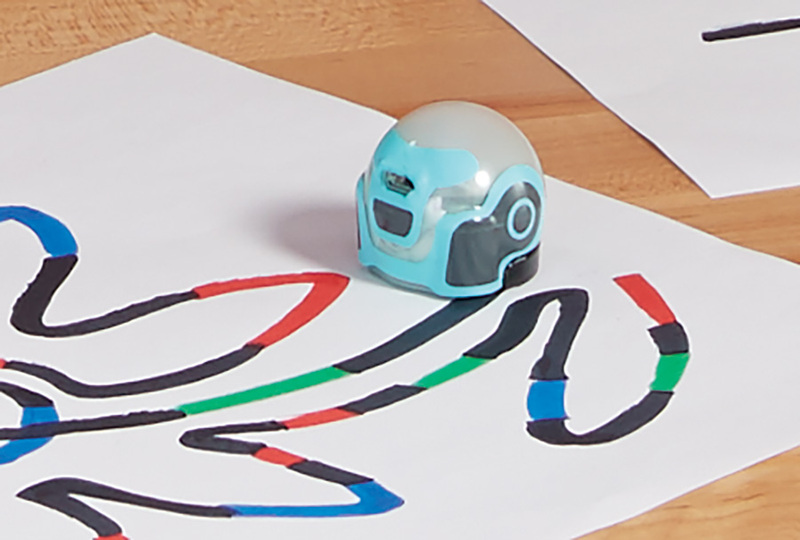 Ozobots® are miniature robots that learners code by drawing colored lines, with each color dictating a specific action. Activities and brainteasers challenge learners to build their coding skills. Mobility: Measuring just 1 cubic inch and weighing just a few ounces each, Ozobots are easily used in any environment. 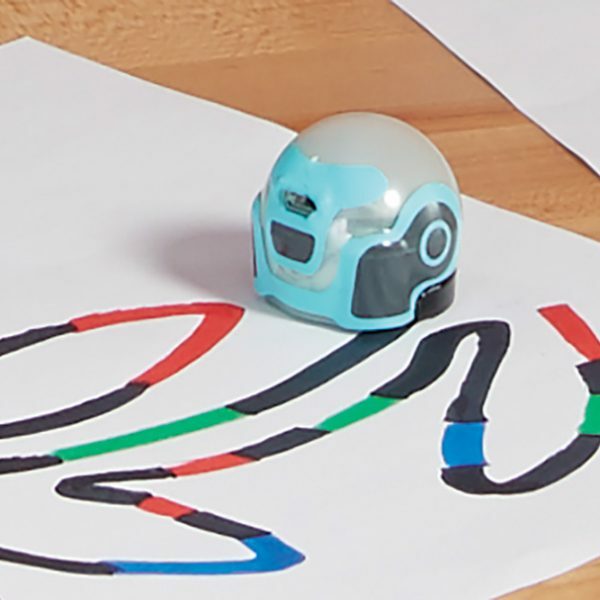 Open-ended Exploration: As learners master the coding sequences, they can move to more advanced coding with OzoBlockly and gain full control of their Ozobot. Knowledge of Learner Interests: Learners of all ages (adults included!) are attracted to these micro-bots. Empowering: Those new to Ozobots will be coding them in just a few minutes and with little instruction. This early success builds confidence and drives engagement. Relevance: Coding requires learners to apply design thinking principles to accomplish their tasks. This important skill extends well beyond the world of technology and prepares them for success in school and beyond. 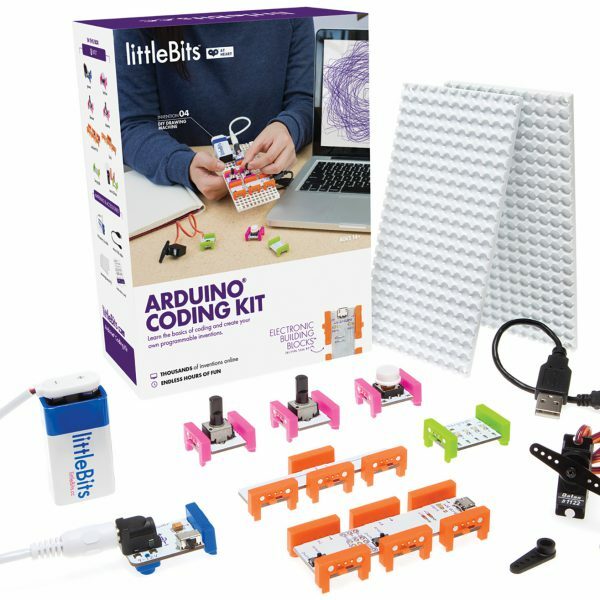 littleBits™ are small electronic components that allow learners to invent without the need for soldering or any prior electronics experience. Mobility: These small circuits measure just a few centimeters each, so even a large collection of several hundred will easily fit in a medium to large toolbox. Open-ended Exploration: Understanding the basic function of each component is best accomplished through trial and error. 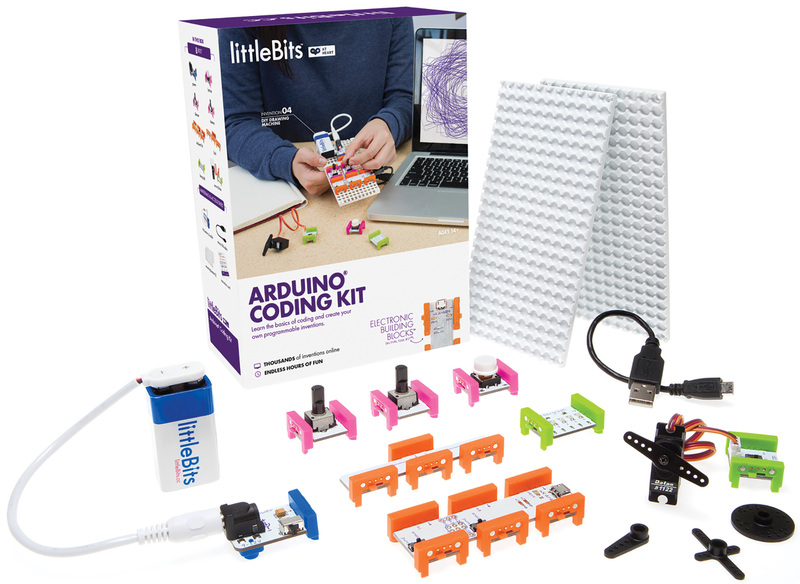 Learners will expand the universe of possible creations as their knowledge of littleBits grows. Knowledge of Learner Interests: There are truly a limitless number of inventions that can be created with littleBits, meaning every learner will find a way to engage. Empowering: These easy-to-use Bits make creative discovery and invention a snap for next-generation thinkers, designers and tinkerers of all ages. Relevance: Bits build creativity, as well as critical thinking and design thinking skills, through the application of the littleBits invention cycle (create > play > remix > share). 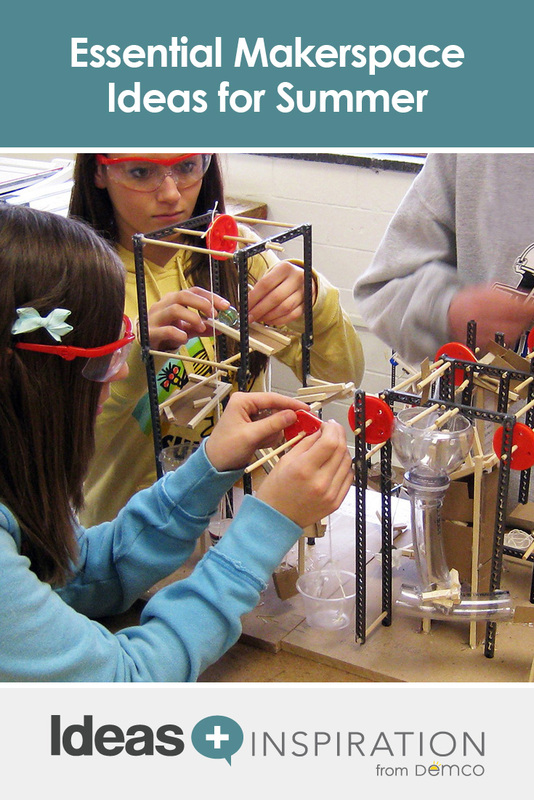 For more STEM resources, take a look through the STEAM & Makerspace Idea Gallery or visit Demco’s makerspace page. Don’t forget that of course there are many low-tech tools that also provide powerful learning opportunities (and a whole lot of fun!). Read Heather Lister’s post Create an Amazing Low-Tech Library Makerspace with These Easy Ideas and Emily Ellis’s post 8 Inexpensive STEM Ideas + Pokémon GO in the Library to find low-cost ideas for making in the library. You’ll also find a plethora of summer programming ideas for all ages on our 2017 CSLP Pinterest Boards. Armed with these fun tools and STEM ideas, it will be a summer to remember at your library.